The 6 Best Craft Stores in North Dakota! Engaging in an artistic hobby is an excellent way to express yourself. Whether you’ve been scrapbooking and sewing for years or you’re looking to dabble in ceramics, the locally-owned craft stores of North Dakota have a helpful staff and ample supplies. Here are the best in the state! This welcoming and cozy Fargo craft store has over 300 local and regional artists and crafts people that contribute to the shop. Their classes and workshops are second to none! Some of their classes include antler string art, creative hand lettering practice, soy candle wax melts, punch needle embroidery, office projects, and origami crane mobiles. Go to their website to sign up for classes! Holly’s Stitches & Crafts sells everything like fabrics, sewing, notions, crafts, yarn, silk flowers, and Wilton products. This fun store has welcoming and friendly staff members who help all customers find exactly what they need for their next artistic masterpiece. While the shop is located in the small town of Rugby, they have a big city selection with something for every artist. Holly’s even supports the community, like the local ice hockey team. Crosby’s Crafts 4 U is truly a unique store that has a little bit of everything, from clothing and home decor to embroidery and silk screening to craft supplies. This store is a great addition to the community and provides the community a much-needed supply store. Crafts 4 U has something for everyone! This all-in-one art center not only offers arts and crafts supplies but also provides art classes and workshops for kids, teens, and adults. They also can host birthday parties, boy and girl scout events, 4-H meetings, and more. Workshops include the open studio, canvas painting, mosaics, glass-fusing, electric pottery wheel, and hand building with fire clays. Founded in 1981, Artmain has provided the Minot community with a huge variety of arts and craft supplies for over three decades, right on main street. Their art products are dependable and they have such a variety that there is something for most art types and styles. Not only that, they also offer custom framing, a women’s boutique, and stunning jewelry. The blue colored store is fun and friendly, making all customers feel like family. At Williston’s QuickDraw Art Studio, everyone is encouraged to be creative, curious, and even messy! Their studio offers limited arts and craft supplies as well as an array of art classes for both kids and adults. 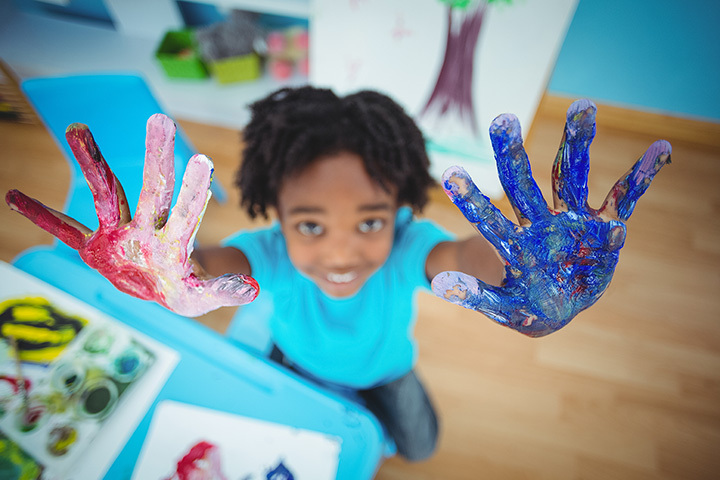 Kids classes include open studio, ceramic painting, canvas painting, parent/child “date night” for painting, “Five Buck Friday” craft projects, and after-school studio. For adults, there is a wider range of classes such as paint night, ladies night, date night, and workshops.